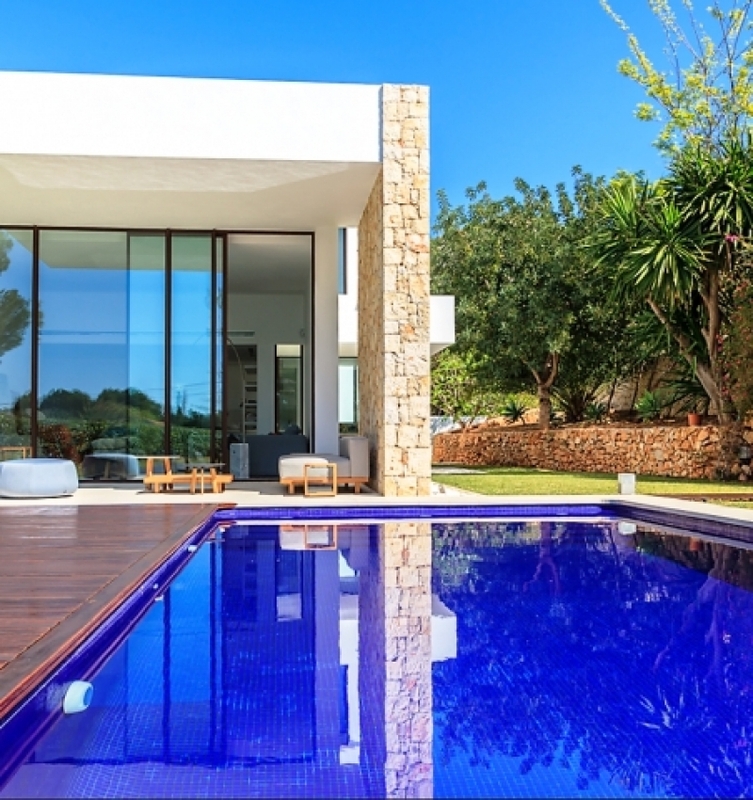 Benimeit Luxury Villa for sale Luxury Villa for sale finished of high standard with panoramic views of the sea. 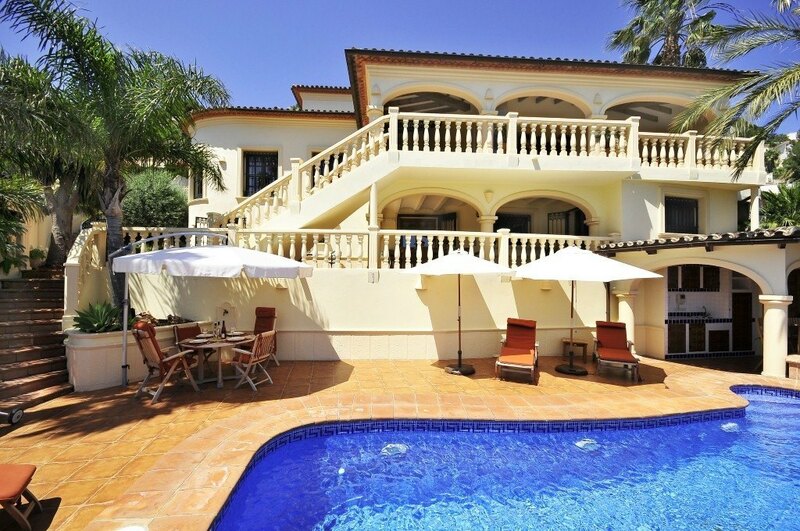 This luxury villa has lovely gardens with a large 10m swimming pool in addition to integrated jacuzzi. 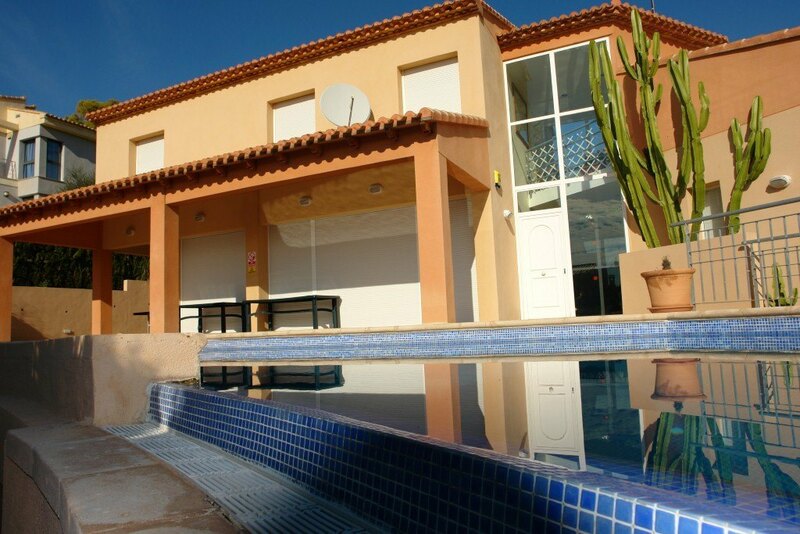 There is a kitchen and outside barbecue area and a garage with ample parking space. 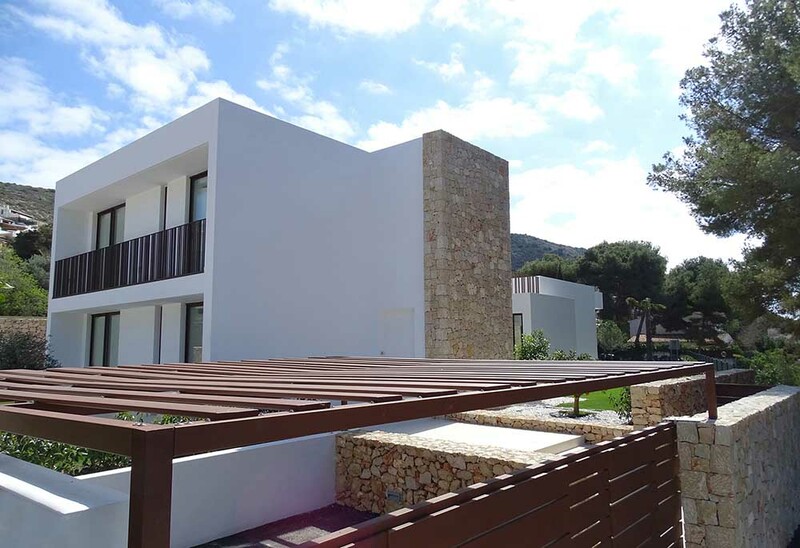 The villa has heating floor heating and ducts of air conditioning cold and heat everywhere. The master bedroom has a large closet flush with several terraces. There is also a guest apartment. The Moraira area guide is undoubtedly one of the most beautiful villages of the Costa Blanca. Situated on a Bay with breath taking panoramic views over the Mediterranean Sea and located between the sea and the mountains, this stunning fishing town is located. The atmosphere is of relaxation and tranquility, with a Marina, an excellent selection of elegant shops and a weekly open market. There are many restaurants and bars in the area that offers traditional cuisine Moraira town and Spanish Navy with fresh fish and paella to be a specialty. There’s a strong sense of culture and tradition in Moraira and, along with many other Spanish cities, there are many festivals held to preserve its history. Historical Portet Bay was once a refuge for vessels and the Tower of the Cap d’Or is located at the highest point of Cap D’Or (Golden Cape) and was used as a legacy of protection against attacks from the Berber pirates in the 6th century. For tourists and residents alike, there are many places of interest to visit. The villages of the surroundings of Denia, Jávea, Calpe. and Altea offers everything one would expect from a beautiful coastal retreat. Along the coast there are many bays and breathtaking sandy beaches and a little further from the cities of Alicante and Valencia offer the Spanish tradition along with the hot spots of the city. Inside, only steps away from the milestone Valley famous for its Almond Blossom is in spring (Costa Blanca means White Coast and is said to be due to the almond bloom that covers the Earth). Acres of vineyards producing Muscat grapes surround the Jalon Valley and many excellent wineries (Bodegas) can be found there.